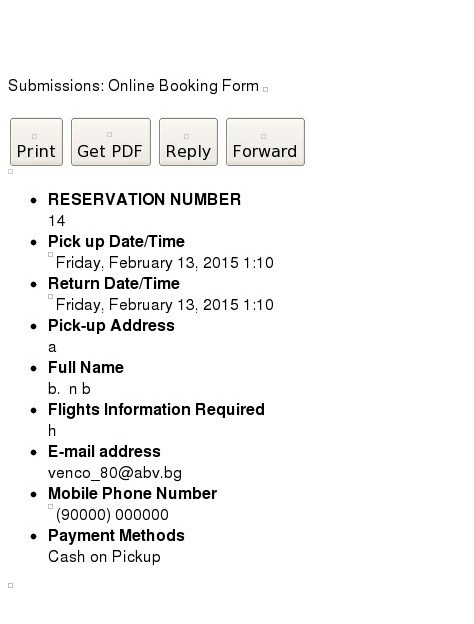 You must be referring to your booking form http://www.jotformeu.com/form/50135650324344 that have multiple payment on it. It cannot have one main button for submission because it is a multiple form which have submission on each. Every time you submit any of the payment form, it is an entirely stand-alone submission. The most that you can do is to set the custom URL Thank You page of each of the form to the same destination URL. So, every time any of the form is submitted, they will redirect to the same URL page. Thanks for your help, First I did put submit buttons for each of the form, when test it I have received submissions data only from payment forms, not for the main one. That is what I try to do! Unfortunately that is how it will work. And that is the correct process. If you submit the form, that form alone will be submitted. 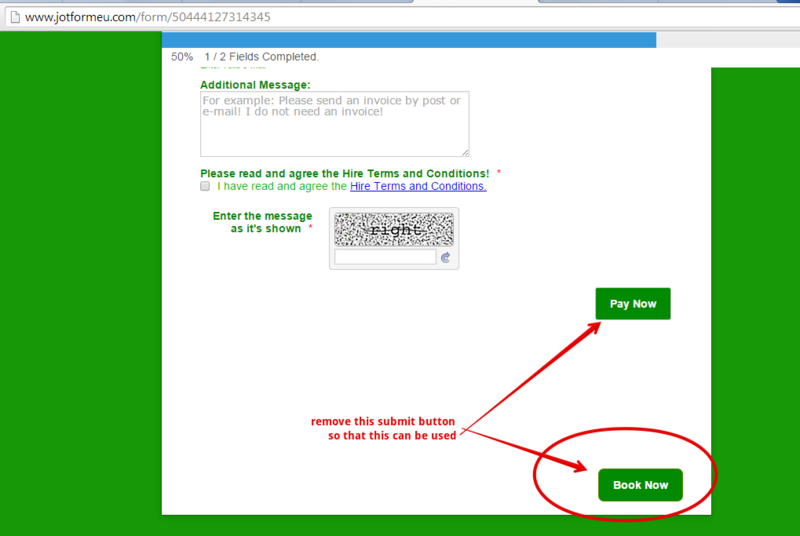 As I had explained previously, each of the forms have independent action for each of their own Submit button. You can check in the -How-to-view-Submissions page the submissions for each of the form. You can see that they all have separate submission data. As mentioned also, the most you can do is to setup the Thank You page of each form to redirect to the same URL so that every time they submit the form, it will go to the the same thank you page. If OK with you, I can also suggest to revise the form design of your multiple payment form. Thanks Again and I understand you what you said. Unfortunately the problem cant be fixed. As previously mentioned by my colleague, each form is independent which means that each form has their own submit action. As you can see in the guide also provided by him, the first form is used to select the payment method and only then the corresponding form is displayed. In other words, you would need to create 3 forms like this one: http://www.jotformeu.com/form/50135650324344 and change the payment method on each other. For this, you can create cloned versions of the form. And then create a 4th form that will serve as a filter in which your users will pick their preferred payment method so you can show the corresponding form. This way you'll receive the whole information regardless of the selected payment method. I will make 3 forms as main one by cloning it. Ok, What do you mean change the payment method on each other. I finished a lot of work, but it hinders me. The 4th form only will have to choose method of payment is that what you said? On top of the main form need to choose method of payment, then shows the form to fill all the information. This version http://www.jotformeu.com/form/50444127314345 of your jotform should work. Just remove the main "Book Now" button because there is no need for it. Please try as suggested and removed that 'Book Now' button on the form, and the test your Main Online Booking form again.